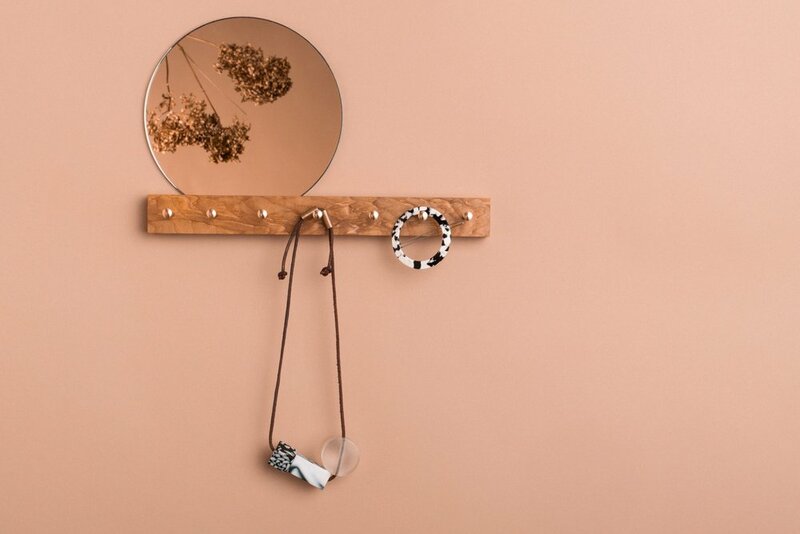 These simple, elegant hangers are perfect for organising jewellery or keys and cleverly combine with a mirror to check yourself on the way out the door. The mirror can be positioned where desired and has a felt backing for comfort. Handmade from wild Irish ash or ebonised European oak. Each hanger is finished with a natural, hand rubbed oil. Dimensions: 4 by 35cm, Mirror 20cm. 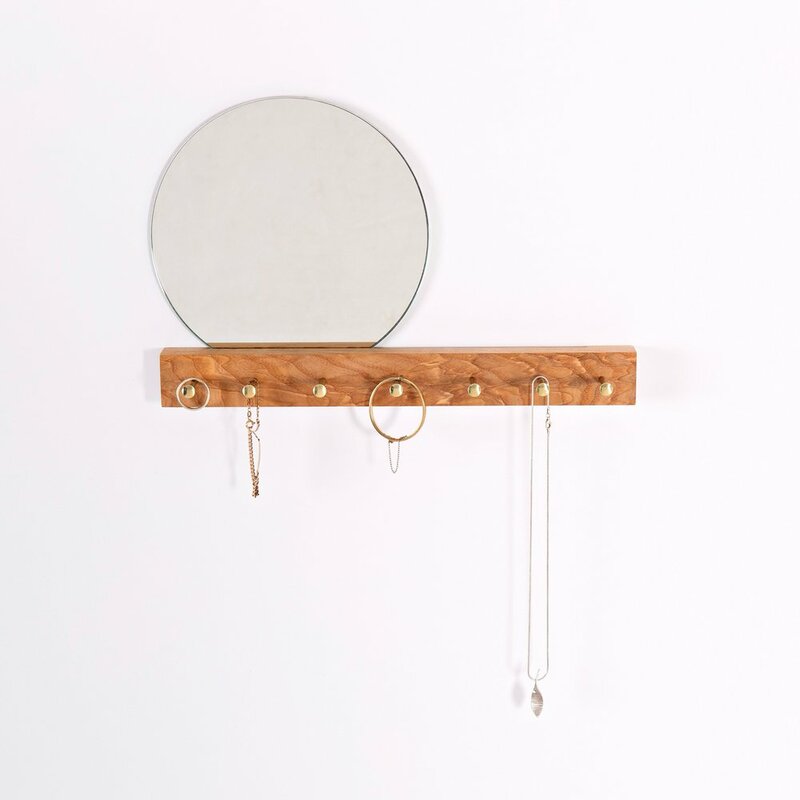 Available with circular mirror, rectangular mirror or on its own.